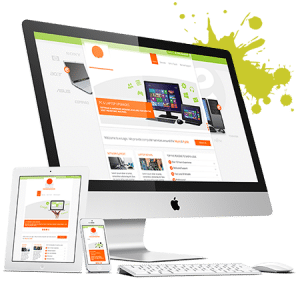 Why should Bangkok Web Design Agency develop your website? Our team of expert Bangkok Web consultants and Webdevelopers will be at your side through all stages of the web design & development process. Our product range comprises websites, Social Media applications, online marketing campaigns, E-commerce shops – you name it! Together, we will analyze your needs, understand your brand and products and formulate a development plan for your new (or redesigned) website/online presence. We want to make sure that your clients whether they are desktop, tablet or mobile users are able to view and use your website in a quick and efficient manner. Every Bangkok Web Agency product has undergone a rigorous usability testing process. You and your clients value your brand – so do we! As such we will ensure that your brand image is properly reflected throughout your online presence as well as giving your website a professional look and feel that is ready for tomorrow’s consumer. We will host your website on our reliable, fast and secure web servers in Asia or the USA. As our client you do not need to worry about software installation or website maintenance.